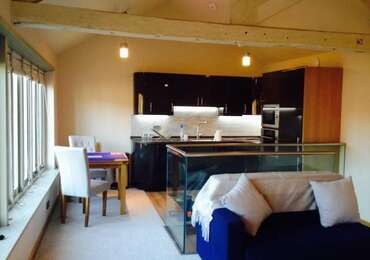 Newly built and opened April 2016, independent no smoking luxury serviced apartments situated in a lively central position of the city, within a few minutes walk from the York's main train and bus stations. Surrounded by a wide range of Attractions, Museums, restaurants, bars, clubs and shops, York Minster, National Railway Museum and all York's main attractions all within 10 mins walk. The apartments are located within the city walls and offer a limited number of parking spaces £10 per 24 hour on a first come first serve basis. All apartments have Free hi speed WiFi, own independent front door, secure cycle store, pots pans and cutlery, 24 hour access, air conditioning, 2 x TVs, DVD, iPod dock, laptop safe and a Full kitchen Apartments 1 to 6 are 1 double luxury bedroom en-suite 2 level, with the lower level providing full kitchen facilities c/w washer dryer, fridge freezer, microwave pots pans and cutlery, hotplate, toaster, sandwich maker, Attached living area with sofa, table chairs TV, DVD player, mood lighting, the upper level 1 double bed, luxury en-suite, underfloor heated bathroom with anti mist mirror, Air conditioning with climate control, USB charger sockets, iron and ironing board, remote control mood lighting, quality luxury Egyptian cotton bed linen, bathrobes, towels, double bed, hard and soft pillars. apartment 7, disable friendly ground floor studio style, with a large en-suite wet room, rain shower and level access direct from the parking area, TV, sofa and full kitchen / living area, all on 1 level. Apartment 8, 1 bedroom 1st floor deluxe apartment, converted from an old early 1900s workhouse with separate double bedroom with luxury en-suite with TV, full kitchen facilities c/w washer dryer plus living area sofa, TV All the apartments are heavily insulated with double glazing and motorised remote control Velux blackout shutters. 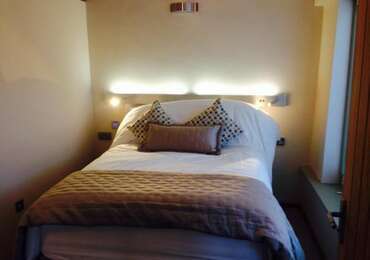 Luxury deluxe 1 x double bedroom 1st floor en-suite flat with kitchen / living room / sofa bed own entrance. Ipod dock, hair dryer, iron and ironing board, washer dryer, fridge / freezer oven / microwave, induction hob, toaster,sandwich toaster.DVD players,Ipod dock, laptop safe. 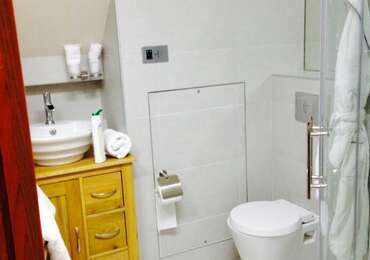 2 level 1 bedroomed en suite apartment, power shower, heated mirrors , heated underfloor heating, parking to apartment wheelchair accessible. full kitchen / living room / sofa bed own entrance, mood lighting. Grohe rain shower, air conditioning and Egyptian cotton bedding, towels and bathrobes.2 x HDTvs, DVD players,Ipod dock, laptop safe.